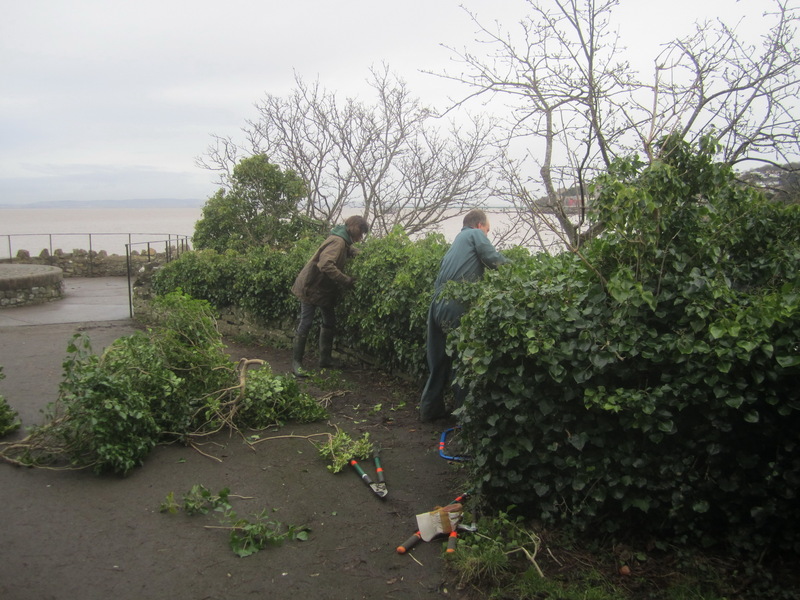 On 17th December 2014, the Clevedon Woodcutters for Wildlife, after consultation with North Somerset Council, set out to clear the dense growth of scrub that had accumulated over many years at the western end of Marine Lake. 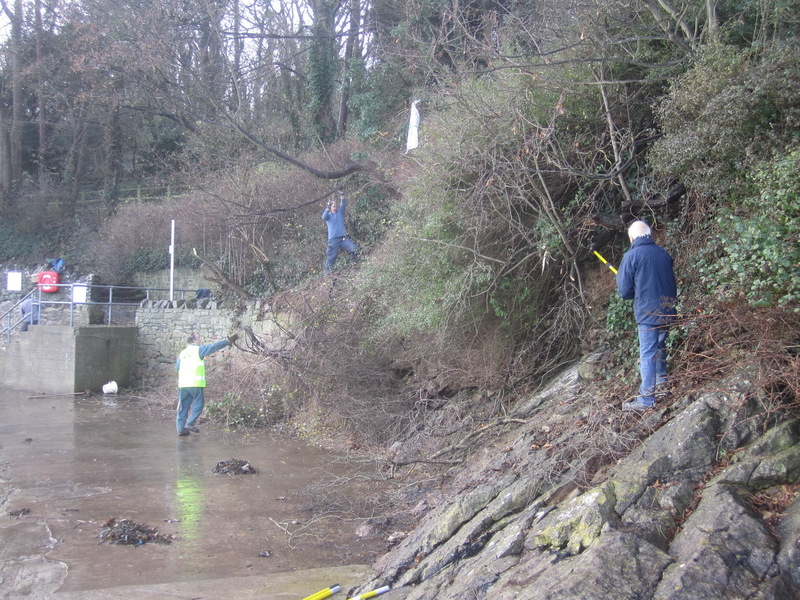 Their work was one small step towards the realisation of a major Marine Lake project. 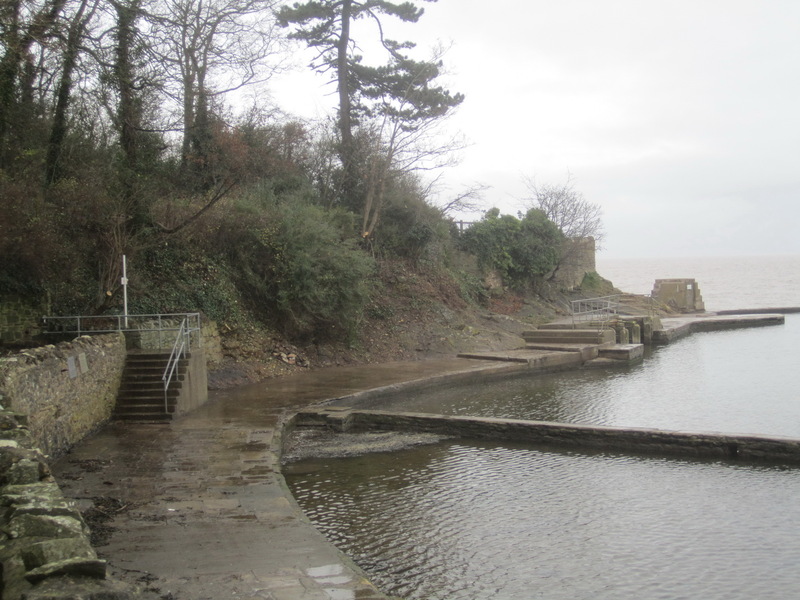 Clevedon’s Marine Lake restoration project, which arose from the urgent need to repair the lake’s leaking seawall, was led by North Somerset Council and the Marine Lake Enthusiasts (MARLENS). It received initial support from the Heritage Lottery Fund in 2012 for a survey to be carried out. In 2014 the project was awarded a substantial grant from the HLF to cover a comprehensive refurbishment of the whole lake area. A prerequisite to receiving any grant from the Heritage Lottery Fund is a certain percentage in match-funding from the applicants. The practical contributions of volunteer organisations and individuals can be given a monetary value that can be included in this sum. The Woodcutters were pleased to play an active part in helping provide this match-funding in this project. 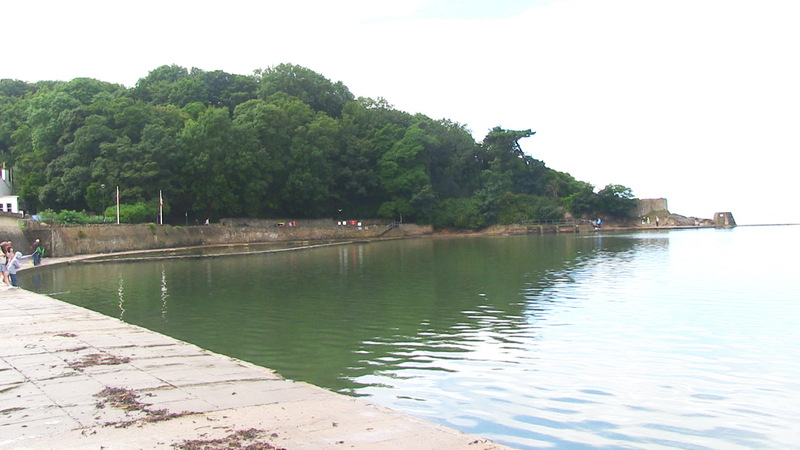 The Woodcutters initially cleared back the vegetation to give project contractors full access to the lake-side promenade, and they also pledged to undertake follow-up scrub control after the lake’s refurbishment was complete. 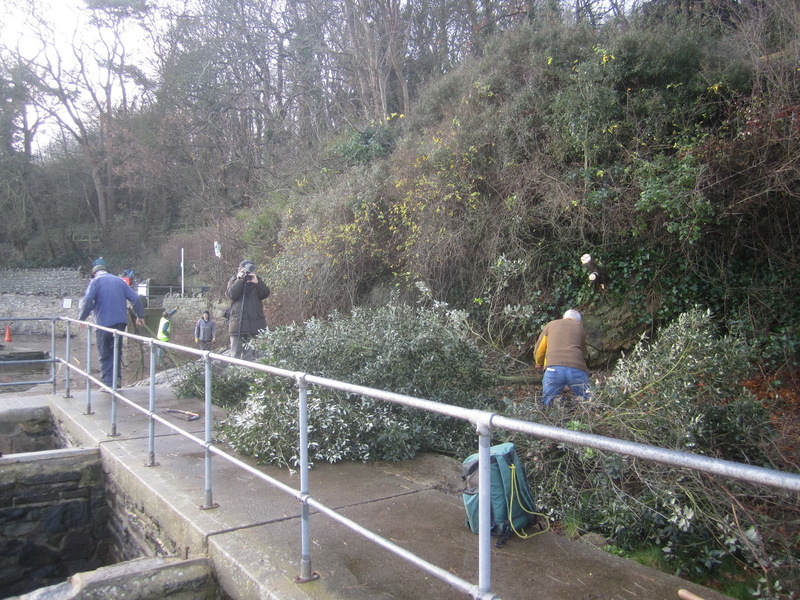 A second clearing session on 7th January 2015 brought total volunteer hours on site to 53. North Somerset Council contractors later disposed of the cut branches using a chipper, reduced tree stumps with a chainsaw, did some further trimming and erected a temporary safety barrier around the view point (photos below). 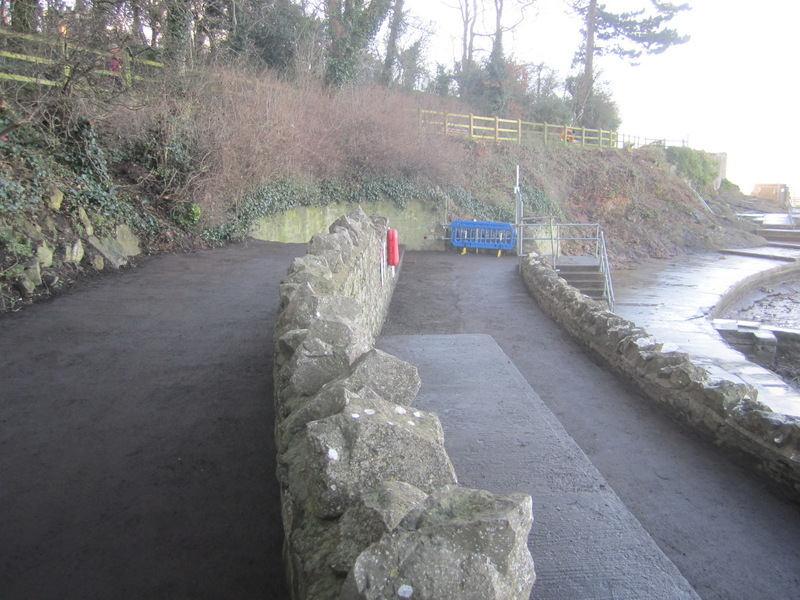 On 15th January 2015 the Friends of Poets’ Walk followed up work by the Woodcutters and North Somerset Council contractors by cleaning and sweeping the access paths to Marine Lake and the path above to the Lookout (photo right). Volunteer hours 20.